My birthdays are never this spectacular. 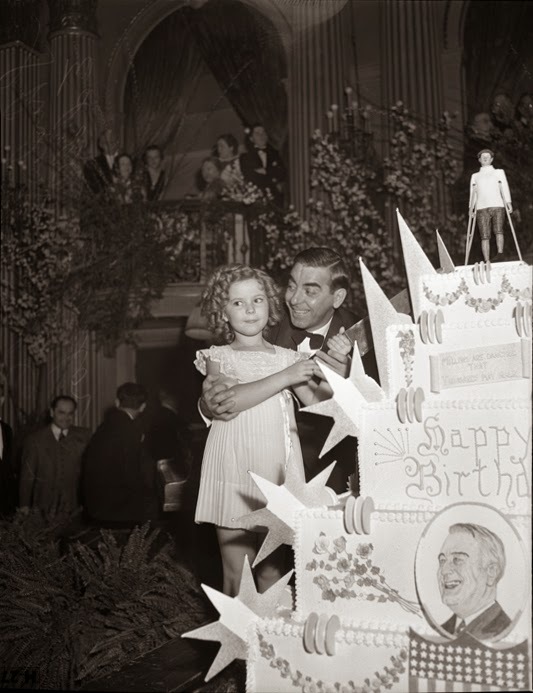 Why didn't I have an FDR cake?! A couple of weeks ago I turned thirty-one and I’m perfectly okay with that. I’ve never been one to mope about getting older. I look younger than my chronological age; I’m well educated; and, despite the short shrift my generation has received, I’ve done well professionally. Time isn’t slipping away from me like grains of sand through an hourglass. I’ve not been deafened by the ticking of my biological clock. I don’t feel helpless. I don’t feel old. I don’t feel directionless. This isn’t Reality Bites Redux, people; I’m actually optimistic about the remaining fifty or-so years I have left. There was a time in the not-too-distant past where I was not sure if I would see the other side of my twenties. Turning thirty was a victory, like I had "gotten one over" on the faulty biological blueprint that had long conspired against me. These feelings of triumph, however, were short lived. My magical year was anything but charmed. Less than two months after my birthday I had a major accident (you can read about that here) and spent six months trying to walk again. 2013, as the axiom goes, was not the business. Yup. 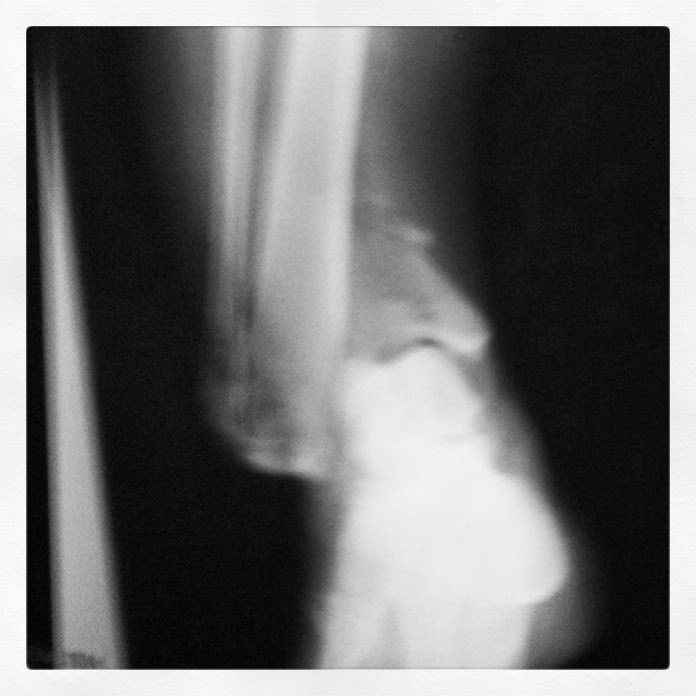 You are seeing this correctly and this is my X-Ray. And, yes, the bones punctured the skin. As crappy as 2013 may have been, the year wasn’t a complete wash. During my months laid up with injury, I learned a lot about myself and about life in general. Let’s be honest, when you are limited to hopping around on one leg, the only thing you can do is introspect . . . and watch old Adam-12 episodes. To spare you the pain of a fractured leg of your own, I thought I’d share some of the insights age and injury brought my way. Life doesn’t get easier you just develop better coping strategies. I hate to burst anyone’s bubble (actually, I enjoy bursting people’s bubbles, but I digress), life will always be difficult. There will always be mornings that you cannot face, bills that seem insurmountable, and health challenges that rock you to your core. As you get older you become more adept at mediating life’s difficulties and looking for help in the places where you are likely to find the best and most readily available assistance. You can’t expect to reach your goals without great personal sacrifice. One of the chief criticisms of our generation is that we are entitled and are crippled by adversity. Perhaps one of the hardest facts of adulthood is that life does not offer guarantees. If you expend a great deal of effort on a cause, your struggle does not guarantee success; however, you can’t reasonably expect to achieve your goals without great personal sacrifice. Did I mention that it took me five months to learn how to walk again after my accident? See? SACRIFICE! Everything is political. There are few situations in adult life that are straightforward, thus you must learn how to play the proverbial game quick-fast. People rarely divulge their true feelings and motives, so you have to become adept at reading situations and picking up on the nuances of what others are saying. This isn’t to say that you need to be mercenary yourself, you simply need to recognize this tendency in others. Also, while we’re at it, be careful of what you say and to whom. When in mixed company, avoid all committal language or absolutes of any kind. Like any great politician, you want to leave yourself room to equivocate should things go pear-shaped. If someone invites you to their son’s first birthday party—the very definition of hell—you might say, “That sounds like fun! Send me an evite and I’ll check my calendar.” It’s easier to turn someone down digitally, where you can carefully construct an email explaining your absence, than to inform them that you’d rather perform your own root canal that spend a couple of hours with a cadre of screaming toddlers. Remember: be polite, not committal, and leave yourself enough room to get out of a sticky situation. Don’t measure yourself by someone else’s yardstick. Everyone has had different life experiences that have shaped them as individuals and lead them to their present situation. It’s ridiculous to compare yourself to anyone else when you haven’t shared the same formative experiences or made the same social/political/financial connections. You are who you are, so make the best of it. Odds are you will live to be eighty, don’t freak out about turning thirty-whatever. Seriously, you have a majority of your life ahead of you, don’t worry about what you have yet to accomplish, there is plenty of time. Life is long enough to accommodate a bad year (or even a sketchy decade); you have years to recover, build, and rebuild your life. Don’t sweat the candles on your birthday cake. What are some of your words of wisdom for [nascent] aging wisdom?